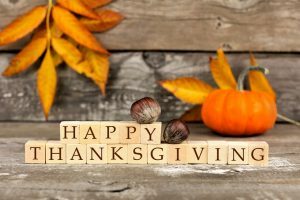 This year, as you sit around the table enjoying turkey, mashed potatoes, stuffing, or pumpkin pie, we hope you take a moment to remember what you are grateful for. As our staff family has prepared for the approaching holiday, we have felt gratitude for all the little smiles we get to see. We are thankful for our patients and their caring, attentive, and dedicated parents; our practice would be nothing without you! As your family talks about gratitude this month, we hope you’ll help your little ones be grateful for their teeth. Our teeth make it possible for us to speak, enjoy delicious food (like pumpkin pie), and smile. One way you can teach your kids about how important our mouths are is by showing your kids how to care for their smiles so they have them for years to come. It is always important to brush and floss every day, but around the holiday season there are a few more things we can do to protect our teeth from the extra sugar we consume. Follow these directions from your Columbus pediatric dentistry office to protect your child’s teeth. Lots of us travel for the day to visit family and friends to celebrate Thanksgiving, and this means a lot of us don’t have a brush after the famous turkey dinner. A lot of kids fall asleep during the drive home, meaning they might not brush their teeth until the next day. Don’t let this happen to you! Sugar does more damage to our teeth when it is allowed to remain in our mouths, feeding dangerous, cavity-causing oral bacteria. We can stop this process by bringing our brushes along for the ride and brushing after dinner or before the drive home. If you didn’t bring a brush, you should at least swish some water after dinner. This will weaken the impact of sugar and bacteria on the teeth. Swishing with water can also get rid of food debris and stop bacteria from damaging your enamel. Not only will this help to keep up your appetite for the delicious dinner, but studies show that after we eat acid continues to attack for up to 20 minutes. So, if we are snacking all day, our teeth are going to constantly be under siege by bacteria and acid. Try to only eat during mealtime to give your teeth a break. Hard foods, like candies, caramels, or croutons, can cause damage to our teeth. A tooth can crack, fracture, or break as we exert the pressure it takes to tackle this food. Avoid the risk by passing on anything that seems too hard to chew. If you have any worries or doubts about your child’s teeth, make an appointment with Hines Little Smiles today.